What a week of catch up this has been. We went away for the 4th of July weekend and came back late Tuesday evening. So it's been fun, but I really looked forward to my crafty down time. 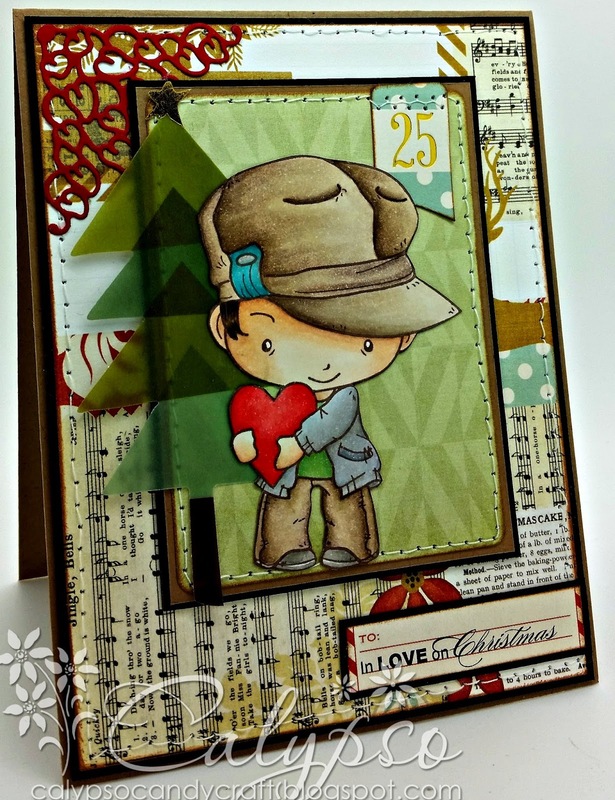 Today, I am sharing a card I made for this weeks challenge over at 4 Crafty Chicks. It is a Valentine's stamp set, but I found it to be very suitable for my song selection. 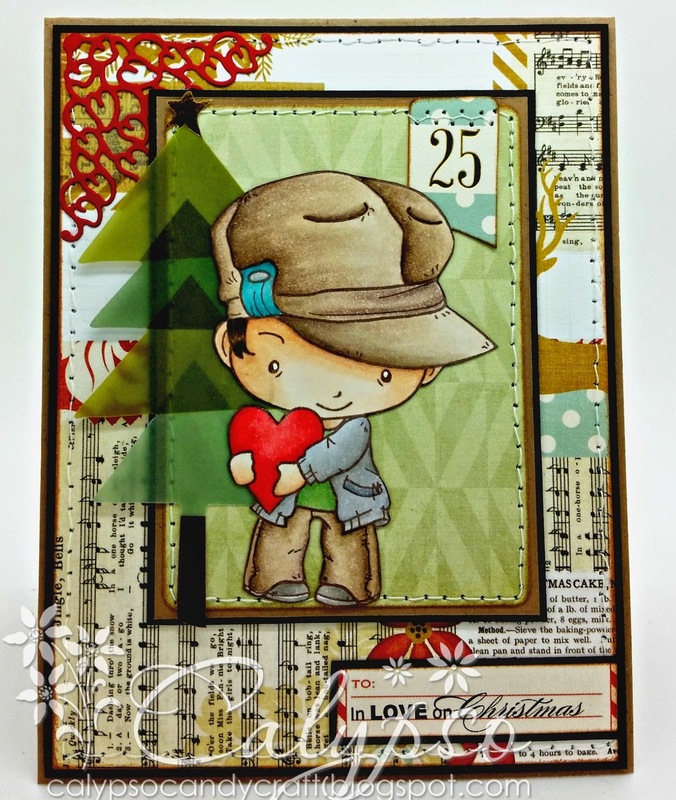 My song selection for this card is: In Love on Christmas by NSYNC!! I know please...please don't laugh at me!! hehehe It is an old song, but I am getting in the Christmas spirit and I need it, if I am going to get my Christmas cards done in time. So I hope that you will join us this week, looking forward to seeing your entry. Awesome creation this week! I simply adore the colored image but the music paper behind it is spectacular! 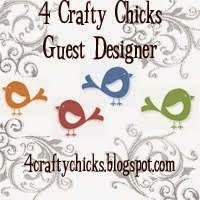 Another hit of wow factor for 4 Crafty Chicks. Another beautiful card, and it is awesome, great song choice, and the image is so cute. Nice job on the challenge, it has been so much fun! Hugs! LOVE this card, Calypso!! Awesome background papers and your coloring is amazing! Great song choice! How beautiful! I love the bold colors and your stitiching, fab touch! So glad you joined us for our Number challenge at ABC Christmas Challenge! Fabulous card - love the tree! Beautiful colouring, great card! Thanks for playing at the ABC Christmas Challenge.